Beth is the mom of Caleb Baker, a precious boy that left this world for the blessings of Heaven on January 15, 2011. She is the Author of the book "Giving Him Back to God" and continues to write. She and her husband Chad, also have three beautiful girls, Cheyenne, Peyton, and Camille. They work and worship with the Maple Hill Church of Christ in Benton, Kentucky. Beth is a children's and Ladies' Bible class teacher and speaks at Ladies' conferences. She has a Bachelor of Science from Murray State University and four years of intense research on her own about epilepsy and neurological comorbidities in children with developmental delay. 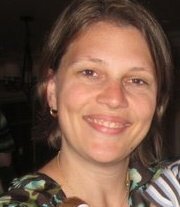 She volunteers as a Parent Advocate for ASD/Epilepsy or special needs families. Our support group is lovingly referred to as TEAM CALEB.